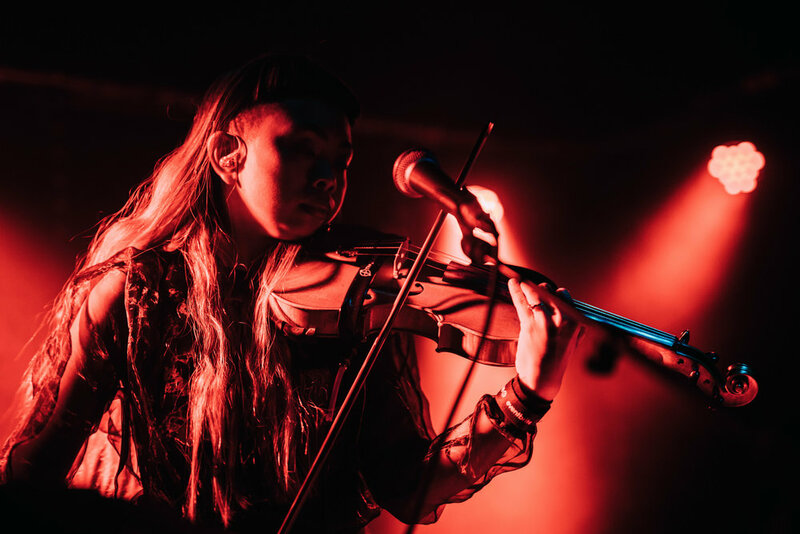 Sydney’s annual Electronic Music Conference descended in to the halls of the University of Technology in Sydney in mid-November. 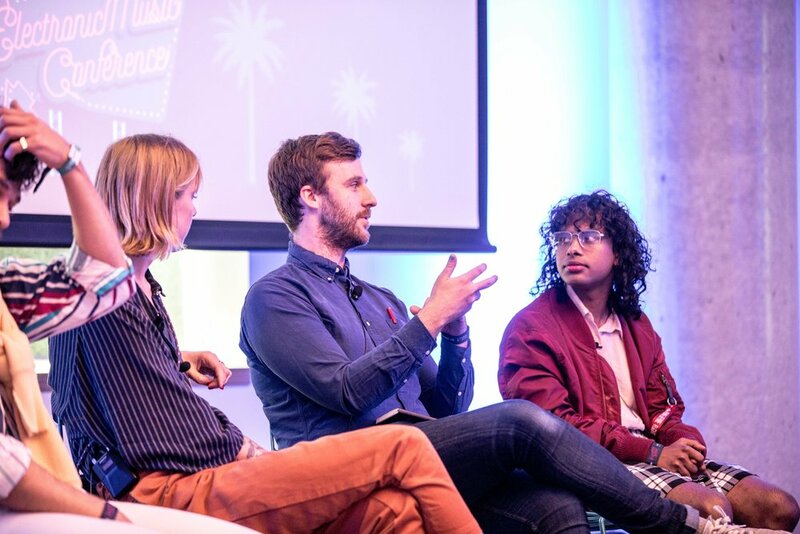 During the day, a series of panels, showcases, and workshops provided an insight to the current status of the electronic music scene, and provided a sense of direction for the industry’s future. By night, EMC:PLAY LIVE took hold of Sydney’s Lansdowne, Hotel, where a sequence of sensational acts took the stage. If you didn’t make it this year or are generally curious of what happened, I compiled a few key takeaways from this year’s event. “The Art of Inclusive Programming” was the first panel I attended, consisting of triple j Unearthed’s Dave Ruby Howe, VibeLab’s Mirik Milan, Uda Widanapathirana from Mellum and Inertia, and Jesler Amarins from Amsterdam Dance Event. The talk covered the importance of supporting diversity within the music industry. Broadly, promoters are encouraged to book diversity in both, the line-up and crowd. This will provide a platform for artists to flourish within the dance music scene, and give the audience an opportunity to discover new sounds. It is also suggested that promoters reflect on their previous events and implement amendments to best suit the diverse and unique scene they operate in. Hosted by DJ and presenter, FlexMami, “Creative Direction and Styling” explored the works of stylist, Jade Leung and stylist/photographer/creative director, She Is Aphrodite (Michelle Pitiris). The session delved into the importance of building a brand, understanding your personal, professional, and artistic brand. The main impression displayed from the panel was to be genuine with your image, find reference points, be comfortable with yourself and channel a creative persona. If you want to learn more about branding, we interviewed She Is Aphrodite about exactly that. The importance of mental health was a prominent topic at this year’s EMC. A variety of panels conveyed the importance of wellbeing and mindfulness. In an internet age, the industry is more interconnected than ever. The impact of instant messaging, social media and emails has removed the human element and decreased boundaries. A consistent sentiment carried throughout the panels was to establish boundaries, stick to your morals and core values, and schedule in self-care breaks. Additional tips included self advocacy, and to build a human connection with those you work with, and generally communicate with. Over two rollicking evenings EMC:PLAY LIVE took hold of Chippendale’s charming Landsdowne Hotel. 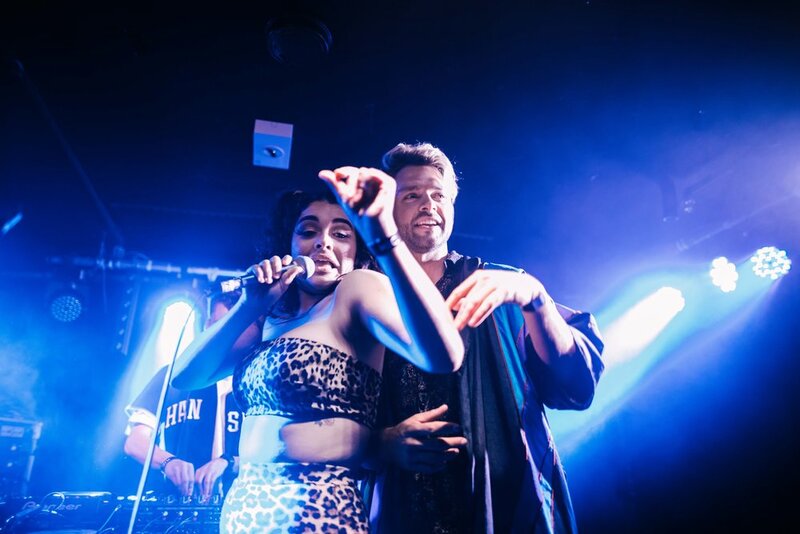 Every selected act curated by triple j Unearthed’s Dave Ruby Howe enraptured the selection of industry and music fans. For me personally, a few of the artists illuminated the stage with vigour and prowess. Brisbane’s electro pop queen, LÂLKA brought her captivating and energetic ensembles down south. Blending PC, art, and commercial pop with eclectic aspects, the ascending act enticed a groove from onlookers. Melbourne resident, Luboku delighted fans as he performed a selection of sensational singles from his diverse discography. Playing tantalising tracks from The Surface EP, Luboku’s vibrant vistas caressed the soul, leaving a sense of wonder and grace in its wake. You can read our track by track review of Luboku’s EP, HERE. Sydney locals, Hi Life charmed the crowd with their bubbly aura. Buoyant beats melded with the musos’ crisp compositions resulting in a rich set filled with twists and turns. A major highlight from Hi Life’s set was the rhythmic release ‘Slide’, that resonated through the venue. LÂLKA, Hi Life, and Luboku are all destined for a fantastic career. I highly recommend acquainting yourself with these rising stars.